In the wake of a crippling economic downturn and the record 1893 floods, the Queensland government passed legislation that enabled groups of men who were prepared to live and work communally, to settle on the land. Three such groups settled in the Chinchilla district. The Mizpah, Monmouth and Industrial (Mulga) groups were comprised almost entirely of men from Brisbane and Ipswich. They were town folk — labourers and tradesmen mostly and many were long-term unemployed. There were very few experienced farmers amongst them. Over the groups’ brief, two year lifespan, 121 men enrolled as members. With wives and children their numbers exceeded 440. At a time when Chinchilla’s adult population stood at just 100, the potential impact on the district was huge. This book provides a well researched history of the co-operative settlement scheme and of the three Chinchilla groups that formed part of it. However it goes well beyond that. Unusual in its approach, the book provides appeal for both the historian and the family historian. Never before has every member of these groups been named. 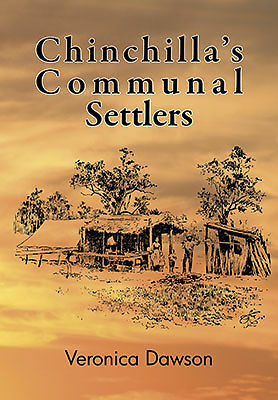 In paying tribute to the communal settlers, the author switches to a slightly more informal writing style and provides brief biographies for each member that outline where possible his background, skills and family composition and traces the family’s fate after leaving the settlement. Should the transportation of convicts cease?